Rome, 1 December 2016. Gathered today in Rome for a meeting hosted by Italy’s Foreign Affairs Minister Paolo Gentiloni and Economic Development Minister Carlo Calenda, the ministers in charge of energy from the 43 members of the Union for the Mediterranean (UfM) agreed to step up regional cooperation on energy in order to deliver a secure, affordable and sustainable energy supply, a major factor for stability and shared prosperity in the Mediterranean region. At the meeting, co-chaired by the European Commissioner for Climate Action and Energy, Miguel Arias Cañete, and the Jordanian Minister of Energy and Mineral Resources, Ibrahim Saif, the ministers agreed that policy dialogue and concrete initiatives will be carried out under the three UfM energy platforms covering the priority policy areas, namely the UfM Regional Electricity Market Platform (UfM REM Platform), the UfM Renewable Energy and Energy Efficiency Platform (UfM REEE Platform) and the UfM Gas Platform. The UfM energy platforms are flexible and effective structures which, under the coordination of the UfM Co-Presidency, organise and support systematic dialogue among UfM Members, financial institutions, regional organisations, industrial enterprises and experts. Commissioner Arias Cañete said: “Cooperation in the energy sector is a major element of the Euro-Mediterranean Partnership. A secure, sustainable and competitive energy supply is a priority that Europe shares with its North African and Middle East partners, and is key to underpinning stability and prosperity across the region. To achieve these objectives, large scale investments in energy in the Mediterranean will be necessary. The bulk of the financing will have to come from private investors. We therefore need sound regulatory frameworks to attract this much-needed private capital”. UfM Secretary General Sijilmassi said: “Today’s meeting demonstrates the common will of 43 countries to work together in the areas of energy and climate action. The three platforms should make the regional framework for the development of renewable energies, energy efficiency and the integration of electricity markets and gas in the Mediterranean more coherent and clearer. 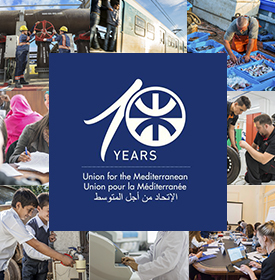 These initiatives illustrate the UfM’s action-driven efforts towards deeper regional cooperation and economic integration based on a specific methodology which turns our political mandate into concrete projects through a multi-partner regional dialogue”. 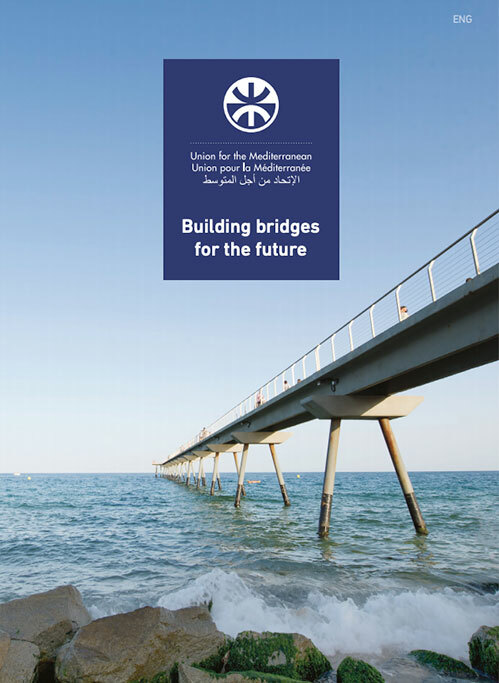 The UfM Gas Platform aims at establishing a regional structured dialogue allowing the gradual development of a Euro-Mediterranean gas market to promote security, transparency and predictability of both demand and supply in a manner that correctly and fairly balances the interests of producing and consuming countries and provides the basis for the long-term secure development of the abundant resources in the region. The UfM Regional Electricity Market Platform aims at the progressive integration of energy systems and energy markets in the UfM region and, in particular, at the enhancement of electricity exchanges and interconnections, in order to achieve a secure, affordable and sustainable electricity supply for the benefit of citizens and economies in the Euro-Mediterranean region. The UfM Renewable Energy and Energy Efficiency Platform aims at promoting the progressive deployment of renewable energy and energy efficiency measures, in order to foster socio-economic development, contribute to ensuring that all citizens and businesses of the region have access to secure, affordable and reliable modern energy services, and support mitigation and adaptation to climate change in the Euro-Mediterranean region. With the ministers’ agreement now in place, the UfM energy platforms are established for structured policy dialogue with a view to identifying concrete partnership actions and following up on their implementation. As such, they will play a central role in taking energy cooperation in the Mediterranean region forward.